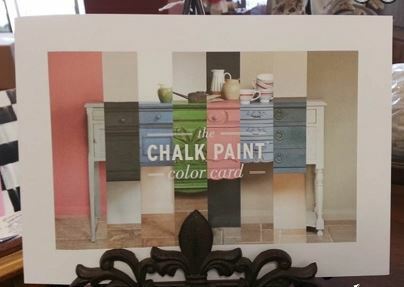 The Annie Sloan Painted Color Chart is perfect to understand the actual hue of all the Chalk Paint® colors since these swatches are produced by painting with actual paint! 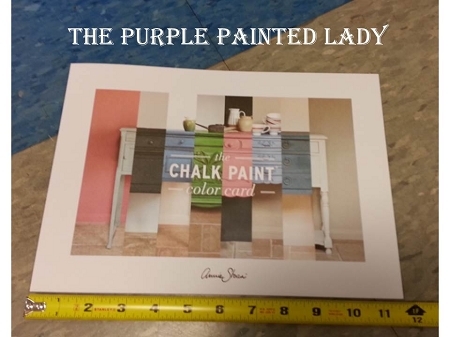 Annie Sloan has organized the colors from the perspective similar to a color wheel. You see the "primary" colors of red, blue and yellow. 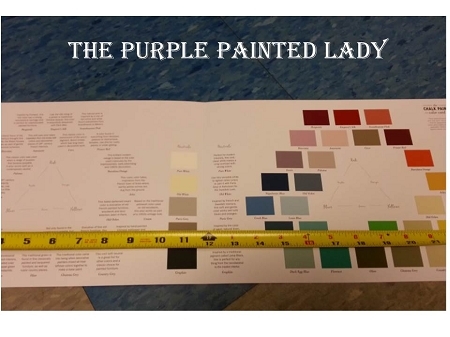 Since these are painted swatches (not copies by a printer) and are laid out similar to the color wheel, when using this chart you can see colors that are opposite each other - which are considered to be complementary colors (example: red and green). The high contrast of complementary colors creates a vibrant look especially when used at full saturation. However, keep in mind when partnering this color scheme to manage it - so it is not jarring to the eye. I also love how this is a 2 page document. When you open the folder, on the left side is a written description of each color and then on the right page, is the majority of the color swatches. By having the painted swatches on the inside, they are protected and will not get scratched when placing this in your tote if bringing it along when shopping or picking out coordinating items. 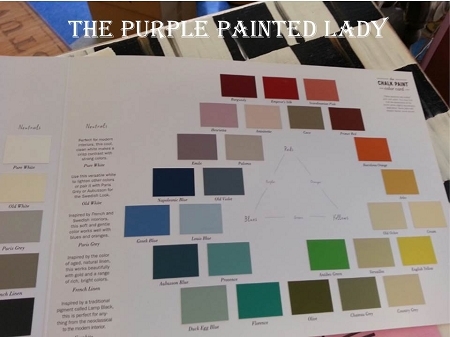 If you are looking for inspiration of other colors to select when making a purchase? Reference this chart!